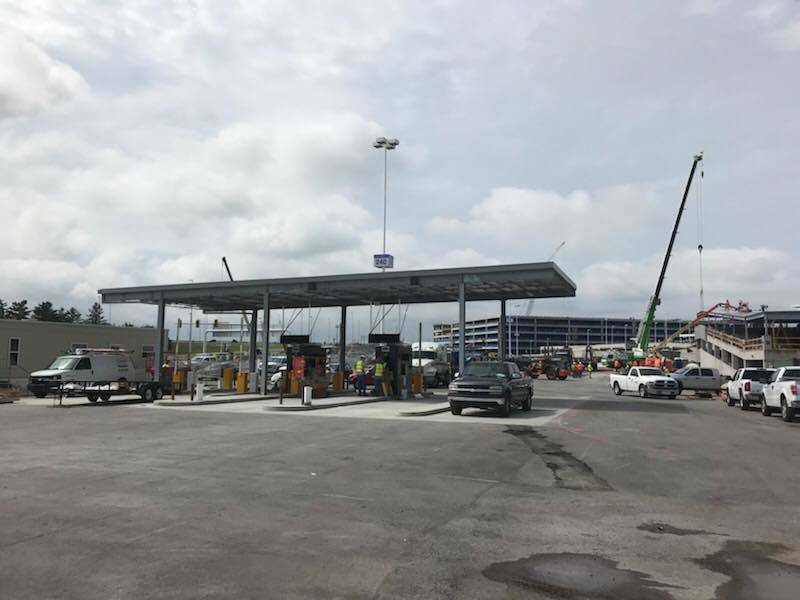 Commercial roofing project nears completion at Nashville Int’l Airport. MidSouth Construction, commercial roofing contractors, specialize in the installation and project management for all types of commercial roofing including new construction and re-roofing projects. We are headquartered in Nashville, Tennessee and licensed as a full-service General Contractor across the entire south east region of the United States. As a local Nashville roofing company, we are certified and experienced in all types of commercial roofing systems! Our professional and experienced staff can help commercial building owners find the absolute best commercial roofing solution that fits their budget and provides the best solution for their specific commercial roofing needs. We can make minor commercial roof repairs or full retrofit roof replacements! You can trust our staff to provide you honest and accurate recommendations. A commercial roof replacement in a sizeable investment for any commercial property owner to make! It is critical that you receive correct guidance on the best commercial roofing system to install. In addition, your commercial roof can be repaired effectively and affordably providing you with years of additional life expectancy! Our experienced and knowledgeable commercial roof estimators can literally save your thousands and thousands of dollars! Quite frankly, we don’t repair what needs to be replaced and we don’t replace what needs to be repaired. If there is an affordable and dependable solution for your existing commercial roof leak, we will help you find that solution!Our commercial roofing services, combined with our full-service general contractor services, allow us to provide a unique level of customer service! There is no need to use multiple companies when we can provide a full range of commercial roofing and general contractor services. Our low slope roof experts have years of experience in the industry and know exactly what your specific commercial building will need! We can also help with other exterior items such as gutters, metal panels, drop ceilings, painting, flooring, and virtually any thing else your commercial property project requires! 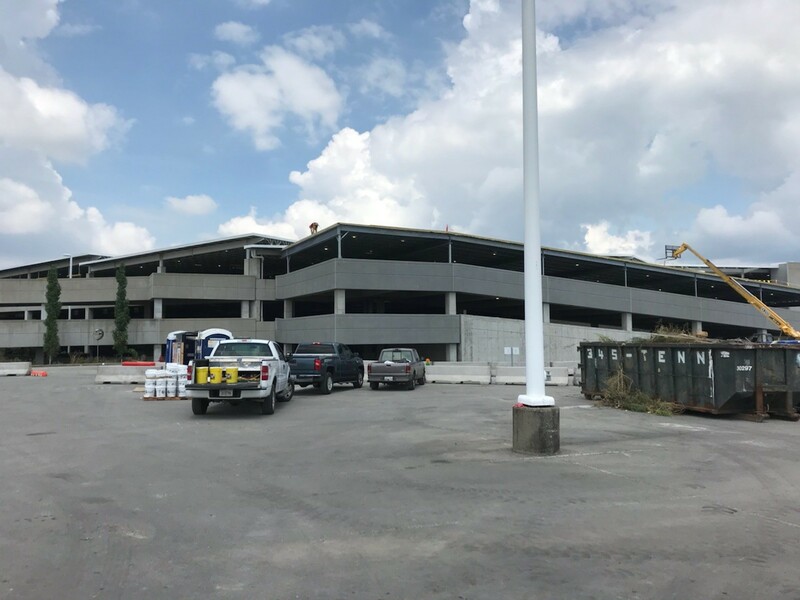 We are almost finished with our latest commercial roofing project at the Nashville International Airport. This specific project included Carlisle TPO roofing products along with fabricating and installing metal panels. Our crews have diligently worked on this large project and are proud to add it to our commercial roofing and commercial projects portfolio! Nashville is blessed to have a large number of roofing contractors! However, we always caution commercial property owners to be wary before hiring any roofing contractor for your commercial roofing repair or replacement. It takes a unique skill level combined with experience to properly install a commercial roofing system. Few roofing companies in Nashville are certified or experienced in low slope roofing. An improperly install flat roof will quickly lead to problems and will shorten the life expectancy! MidSouth Construction is certified with the top names in commercial roofing systems including Carlisle Syntec, Sika Sarnafil, GenFlex, Versico, MuleHide, GAF. No matter how large, or how small, your commercial roofing project is, contact us anytime and request a free inspection or estimate. We sincerely appreciate the opportunity to earn your business! Commercial roofing contractors finishes a commercial roofing project the Nashville international airport. this project is for low slope flat roofing and metal panels, MidSouth Construction is certified in all types of commercial roofing including new construction, re-roofing and commercial roof repairs.